Aerial view of Rumney Barn at Fable Farm. compelling, vibrant, successful examples of resilience that are happening now in the northeastern U.S. The heart of BALE’s work has consistently been to deepen a community’s understanding of our current global crisis and offer transformative and hope-filled solutions. Fable Farm in Barnard, Vermont, is one of the stories woven into the Dancing with the Cannibal Giant film. It is an amazing story of two brothers who, together with other local farms, are the driving force that is creating a renewed sense of community in this small rural town. Now, this special event will feature the showing of the film at Fable Farm along with a locally produced-and-made, organic dinner at the beautiful new barn that is the hub for Fable Farm, Heartwood Farm, Eastman Farm and Kiss the Cow Farm on the Royalton Turnpike in Barnard. Dinner is served at 5:30 p.m. on Saturday, June 23 and is followed by the film showing at 7 p.m. Following the film, there will be a dialogue with the producer and Jon Piana. The cost of the dinner and film is $25 with all proceeds going to Fable Farm. RSVPs are required as space is limited to 45 people. For reservations, call 802-498-8438 or email info@fablefarmfermentory.com. In recent years, at BALE’s workshops, educational programs, film showings and many other settings, people often asked, “but what can we do?” We saw the need for an effective tool to activate and engage those who ready to step into a “new story” of how we see our relationship to the world around us. We also saw value in reaching those who may be just becoming aware of the great challenges our culture faces. For the White River watershed in Vermont, we’ll be showing this film in nearly all towns in the region (BALE’s organizational focus is in the White River Valley). In Vermont first – and then the Northeast – we’ll connect with many groups doing similar work, and urging them to use this resource in their own communities. We acknowledge that the stories portrayed in this film are only a small sampling of the amazing work that is being done throughout the region. The post-film dialogue may well be the place to bring forward these powerful examples in one’s own community. Naima Penniman and Alixia Garcia in Dancing with the Cannibal Giant. inspire actions and initiatives in local communities, as well as to reveal the deep motivations that are necessary for individuals to step into the culture shift and awareness so critical at this time. The reason it is limited in length to 45 minutes is to allow more effective use for community and school settings (as well as some places with time limitations). This allows for an active dialogue with all participants. The intent is an organizing tool, not just for the efforts of BALE, but for everyone who can use this film to build engagement and deep relationships in their communities. Just once a year, BALE (Building A Local Economy) asks friends and supporters to gather for a Solstice Party & Farm-to-Table Dinner. This year, that event takes place at Wild Roots Restaurant in Royalton on Wednesday, June 20, from 5:30-9:30 p.m.
And what an amazing event it is. A locally sourced full course meal – served family style – from one of the state’s best local food focused restaurants, live music with the The Big Ordeal (Chloe Powell, Justin Park and fiddler JoeBob), and engaging conversation with a great community of supporters. This event sells out each year, so RSVPs are required by calling 802-498-8438 or emailing balevt@gmail.com. April 25th – Slow Growth, No Growth, Degrowth: What is in Our Future? Join us for Session #5 of the Building Resilient Communities series . At this event, we will take on the conundrum of economic growth in a time of climate change and resource depletion at the Bethany Church in Randolph on Wed., April 25 at 6:30 PM. Economic growth brings growing resource use, growing waste generation, growing material wealth for the already-rich, and mounting busy-ness and stress for most people… in an economy that can only grow or collapse. What might a simpler, slower Vermont be like? Let’s talk about it. The degrowth hypothesis is that we can live well together with less if we share more and shift from valuing efficiency to valuing sufficiency. The degrowth movement aims to transform human relationships with each other and the rest of nature toward justice and sustainability. Those are lofty goals and nobody knows for certain how to go about achieving them. Surely, degrowth will look different in different places. Discussing what kinds of futures we want and imagining how to make them happen in our communities is a radical exercise. 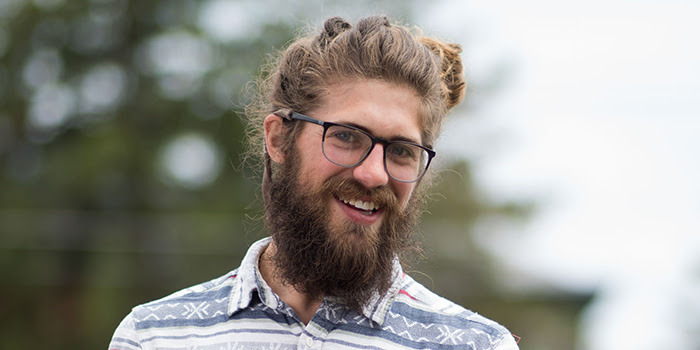 Come join the exploration with presenter Sam Bliss, a PhD student in ecological economics at the University of Vermont and a member of the academic association Research & Degrowth. The series is organized by BALE and cosponsored by Two Rivers Ottauquechee Regional Commission and Randolph Area Community Development Corporation. $5 suggested donation (no one will be turned away). Funded by the Thomas W. Haas Fund of the New Hampshire Charitable Foundation and the Sustainable Future Fund of the Vermont Community Foundation. For more info, click HERE. Dancing with the Cannibal Giant: 5 New Stories for the Great Transition. Come see this hope-filled documentary film, filled with the wisdom of people, mostly younger, who see the wounds being revealed all around the world and are actively engaged in healing the planet in their own inspired way. Dancing with the Cannibal Giant is a 45-minute film that captures five remarkable stories of people and places that are transforming the world. It follows the work and inspiration of people like Leah Penniman of Soul Fire Farm, Alixa Garcia and Naima Penniman of Climbing Poetree , and Gillian Kapteyn and Russell Comstock of Metta Earth Institute. It is a regional film (the Upper Valley, Maine and upstate New York) as the filmmakers believe in the power of place and the distinct nature of place to evoke stories unique to that location… and meaningful to the people who are grounded in place and community. The film screening will be followed by a discussion designed to move us beyond disempowerment and despair, into spaces of action and hope. We’ll have some light desserts. Come to this Kick-off event including forums and free community dinner. All Members of the Randolph community are invited and encouraged to join the discussion. Come to one or more session and join us at the free community dinner at 6:00! Then come to another inspiring discussion on local, sustainable models for the future, the following evening – for a continuation of the conversation! April 11th – at the Bethany United Church of Christ – Building Resilient Communities Come hear what is happening right here in our region to build local resilience! Take a look at what these organizations are doing to build local capacity and thriving communities. Meet Alex Buskey from Alliance for Vermont Communities, Anni Mackay from Cornerstone Creative Community of Vermont, Paul Costello from Vermont Council for Rural Development, and Zac Freeman from Rochester/Randolph Area Sports Trail Alliance (RASTA). Bethany Church, 32 Main St., Randolph on Wed., April 11 at 6:30 PM. $5 suggested donation (no one will be turned away due to cost). Includes great food from Black Krim Tavern. This is program #4 in the Building Resilient Communities series organized by BALE.